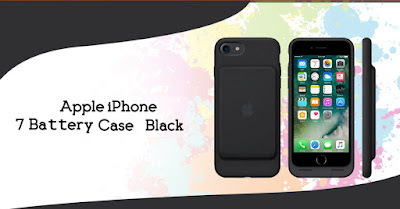 Online Shopping in Dubai: Engineered exclusively for iPhone 7, the Smart Battery Case gives you even longer battery life while offering great protection. Engineered exclusively for iPhone 7, the Smart Battery Case gives you even longer battery life while offering great protection. Engineered exclusively for iPhone 7, the Smart Battery Case gives you even longer battery life while offering great protection. Inside, a soft microfiber lining helps protect your iPhone. And on the outside, the silky, soft-touch finish of the silicone exterior feels great in your hand. A soft Elastoplast hinge design makes it easy to put the case on and take it off.